The night had very few highs and lots of lows. The MTV VMAs went down from the Radio City Music Hall in NYC on Monday night and I’m still trying to figure out a way to get my three hours back. The annual award show that is meant to celebrate the year’s most entertaining, most impactful, and most amazing music videos already feels dated because does MTV even play videos anymore? We tried to overlook that for the sake of nostalgia and in hopes that the network known for pushing the envelope would redeem itself from last year’s atrocious event and it turns out there’s a very good reason the VMAs’ ratings have dropped fifty percent in the last three years. They’re an awful mess. 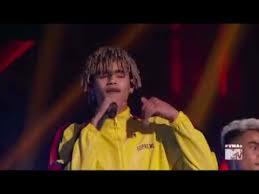 Somehow, MTV managed to sink to new lows this year with an event that was boring, stale, and downright ridiculous with the exception of a few moments of flyness. Good. J. Lo’s performance was FIRE. At least it was fire compared to the rest of the random and ridiculous offerings of the night. One thing is for sure, she’s stunning AF. Wow. It’s like she’s aging in reverse. She serves up “Waiting For Tonight” and some other hits I forgot I loved like “On The Floor” before diving into a medley of random songs I must have missed like “Ain’t Your Mama” (wtf?) and some other tunes I swear I have never heard before in my life. It gets good again when she goes into “My Love Don’t Cost a Thing” and “Get Right” before the fake snow starts falling and she puts on the flyest fur coat in the history of fashion for “All I Had”. But wait, where is LL at? Don’t tell me he was too busy to hop on the train and lick his lips a few times for J.Lo. Whatever. 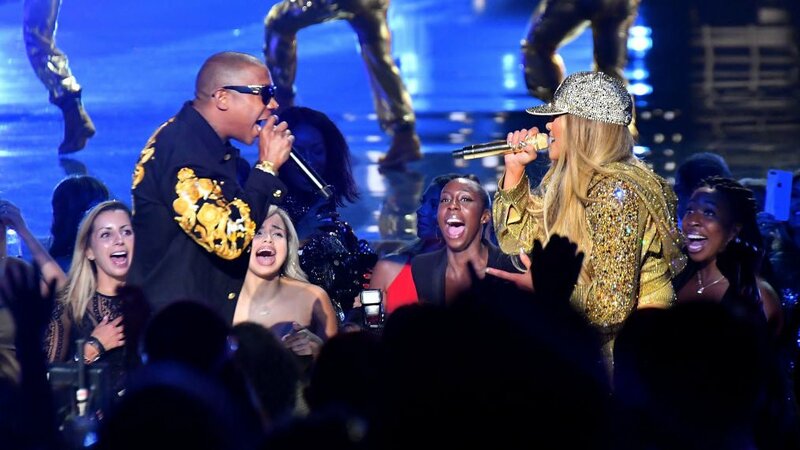 DJ Khaled is yelling now and then it’s time for Ja Rule to make his triumphant return after Jenny changes into a super sparkly golden pantsuit and Yankees hat. Booty shaking abounds for the duration of the performance that ends with an incredible rendition of her latest hit “Dinero” that’s hands down the best of the night. Bad. 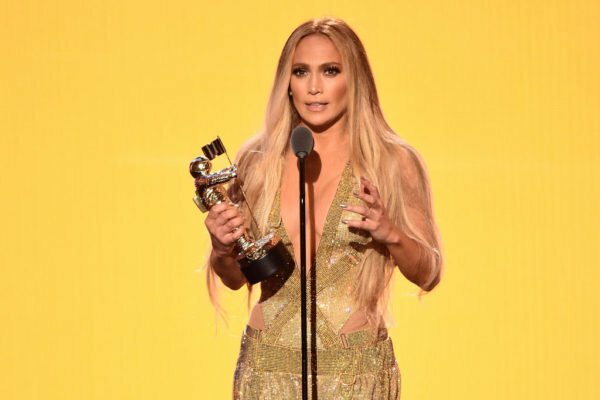 J. Lo’s acceptance speech started out strong and nearly had us in tears because it was such a heartfelt tribute to her two children. Things went left when she proceeded to thank her team, her glam squad, her parents, her neighbor, the guy that walks her dogs, her first grade teacher, the janitor at dance class who loaned her a quarter to call her mom when she forgot to pick her up that one time, A-Rod, her pool man… I washed my hair, got my nails done and did a load of laundry and “Jenny From The Block” was still talking. Calm down lady it’s a VMA not a Nobel Peace Prize. But for real that was a seven minute speech and it was far too much, Jen. Worse. Madonna‘s “tribute” to Aretha Franklin was a self-absorbed shame. Who knew someone could top Trump when it comes to disrespecting the Queen of Soul while attempting to pay respects to the Queen of Soul? Madonna hit the stage looking like Mo’at from Avatar before delivering several minutes of BS about growing up as a poor white girl who lived in a crackhouse and once sang an Aretha Franklin song at an audition for something that she didn’t get but the French people liked her and flew her to Europe to make her a star but it wasn’t that fun so she came home and became Madonna and it was all because of the Queen of Soul. What kind of loser uses the death of a legend to talk about herself the entire time and where the hell was any Black person on planet Earth who would have been a better choice for this tribute than the facially frozen mess that is Madonna? Good. Nicki Minaj performed from a remote location and the (seemingly) pre-recorded set was decent. It wasn’t the best we have ever seen from Ms. Minaj but there was nothing awful about it either. Bad. 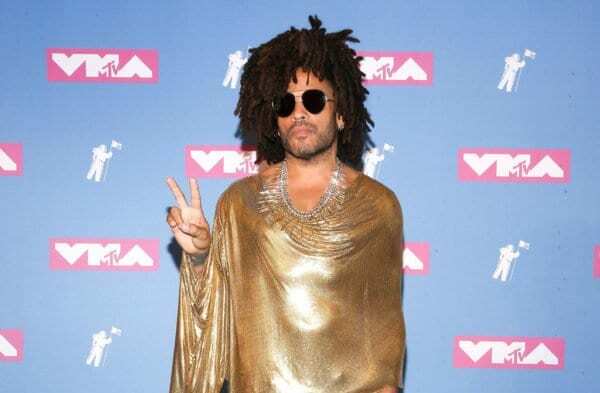 Lenny Kravitz was there and he decided to wear this liquid gold blouse and say nothing about Aretha Franklin. Worse. There’s a boy band called Pretty Much and they are pretty much the sorriest excuse for entertainers we have ever seen. I had to rewind their set because I was certain it was a parody of some sort until I realized that they’re an actual thing. Good. 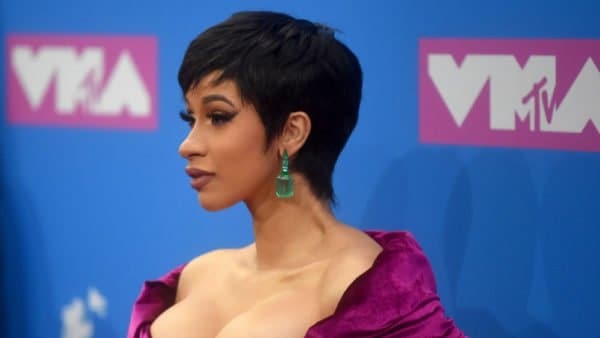 Cardi B showed up and showed out in several different outfits throughout the night and debuted a much classier look than her pre-baby days. The rapper who won Best New Artist and gave birth to her first baby just five weeks ago was a sight for sore eyes and we were glad to see her win the well-deserved honor. She even served up some shade to Nicki Minaj in her opening monologue where she referred to herself as “The Empress” just to ruffle feathers. Bad. Post Malone won a trophy and performed with Aerosmith and I can’t believe we’re letting this happen. Overall, the winners seemed to have been picked by drawing straws because there was no rhyme or reason to the madness that allowed this unwashed, appropriating, boy with a face full of tattoos to beat out Drake for Song of The Year. Worse. This tone-deaf broadcast didn’t even manage to honor the late Avicii even though they presented the Swedish DJ who died four months ago with an award for Best Dance Video for his collaboration with Rita Ora. 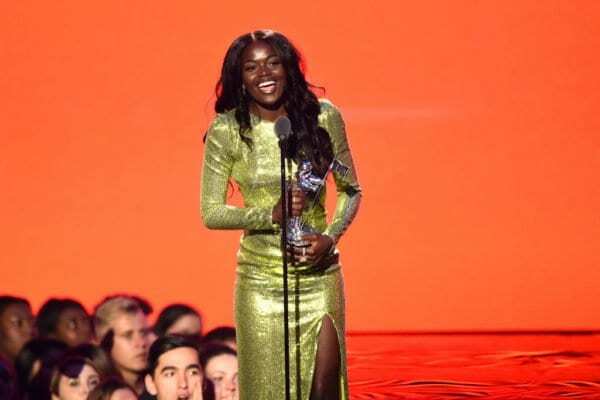 She forgot to tell the crowd he’s deceased and instead said, “I wanna take a minute to say, I just found out that Avicii and I won Best Dance, so let’s made some noise for Avicii right now. An amazing talent.” WEAK. Good. Childish Gambino‘s “This Is America” won several awards including trophies for Best Song With a Message, Best Direction, and Best Choreography and the video’s choreographer, Sherrie Silver, showed up to accept the award and sprinkle some much-needed #BlackGirlMagic on the event and kept us from gauging our eyes out. Bad. For a moment I thought Peter Thomas won a VMA for moonlighting as a singer until he opened his mouth and revealed he was actually a Frenchman named Willy William and was featured on Best Latin Video winner “Mi Gente” with Beyonce and J Balvin. Whoops. Worse. The only person to even attempt to honor the late legend, Aretha Franklin just one week after her death was Travis freaking Scott who dedicated his performance of “Stargazing,” “Stop Trying to Be God,” and “Sicko Mode” to her while his “wifey” Kylie Jenner did her best to look less bored than she actually was. Dear MTV, you had a nice run. It’s time to pull the plug on this outdated, uninteresting, lame, lackluster awards show. It’s over. K byeeee.